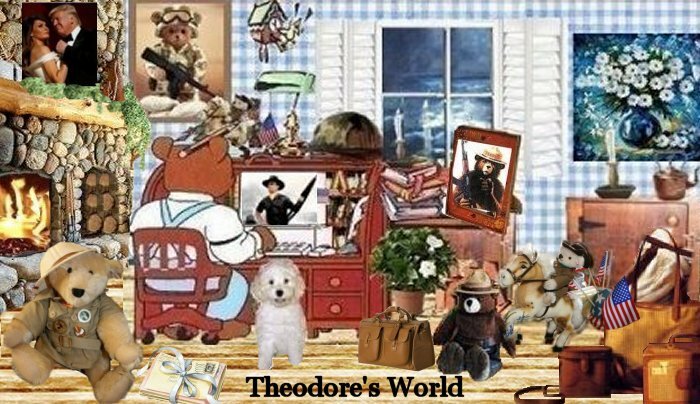 Theodore's World: Obamacare to establish a "Ready Reserve Corps"
Obamacare to establish a "Ready Reserve Corps"
Section 5210 of HR 3590 the Obamacare Healthcare Reform Law: Establishing a Ready Reserve Corps. In the healthcare debate during the last few months, the issue of creating a small armed force under the control of the President seems to have escaped notice. The legislation that creates this para-military force purports to pre-empt the authority of State governors to control their own National Guard, absent war, which the Constitution does not authorize. The Judge said they would be medical professionals training with sidearms / the military. Language is too vague...power to take over the National Guard in peace time. This is a constitutional confrontation. He states there was no debate on the floor of the congress. 1. Military is only budgeted every year this supplies money for 4 yrs. 3. National guard and physician you can’t retire unless the president lets you. Congress has created this without debate authorized president to remove military personnel from the states or to create a new army have legitimate fear in my view. We don’t know how this will be implemented. The language is vague. It could be military or non - military and still be consistent with the statute. Shep is an idiot, but thank God for Judge Napolitano . Every week and sometimes every day something new happens to demonstrate that Obama is trying to destroy America. So far everything is going according to the fascist plan of the Obama Junta. It is amazing, how news this big wasn't foreseen until now. Oh yea, pass then learn. It's like a big dark Christmas in which everyday we get to open a whole new crap-package. willy all the more reason for military type trials for the traitors of America. Why do they need military physicians instead of just hiring them? Military physicians would fall under the UCMJ and could therefore be ordered into questionable areas or battlefields...remember, these are for stateside disasters. A civilian physician could just walk away without any consequences but a military one could be Courts Martialed and sent to prison or his work as a doctor would be done. First stage of fascism, the doctors will be controlled by the UCMJ thereby can be ordered to preform tasks/procedures that they might otherwise not perform because of conscience or their oath. And by refusing to perform an abortion can be brought up on charges. Hence, the camel is in the tent. The One's Praetorian Guards? This is getting very serious now. This healthcare bill was written mostly by professional congressional staffers. I wonder which congressman's staffer wrote this part. Over the months there will be more unconstitutional parts of this bill uncovered. Hell, the whole bill is unconstitutional. No wonder the Democrats wanted this passed so fast. It is a free market and freedom killer. And now a paramilitary force to force the bills provisions on us. Yes Tom, and without debate and without anyone having any knowledge of what they were voting on. And Schmuckie Schumer says the people will love this new bill in a few months. Ya gotta wonder what these people have been smokin'. Greg, heh heh yes at least he isn't Matthews. I had to laugh too when Pelosi said that about only after it passed everyone would know what was in it. Willy, I wish there was a way for you and all of us to awaken from this nightmare. I agree. You have a good point too that this might be that obamacorp he spoke of. BobF., that is interesting and good information too, thank you. I bet that is the reason too. Mark, thyour so right about the camel is in the tent. Tom,well said, this is exactly what was and is happening.
" No wonder the Democrats wanted this passed so fast. It is a free market and freedom killer." This is an ominous development. The implications are far-reaching. He said in his earlier speech we needed a civilian security force as well trained and equipped as the military. It looks as though he'll collapse the economy and offer employment through this program to achieve that end.